Flint Dille also wrote the script for the 2007 Movie game. Bryce Malek was story editor for most of the Gen1 cartoon, from episode 4 to 65. Each had to buy their own toys if they wanted a better look at the character forms and gimmicks. Otherwise, all they had to work with was the 'Transformers Bible' and character charts. David hated Spike - felt he was boring. Paul mentioned that he was hired by Nelson Shin over a lunch (they met, they talked, and he was hired). Commenting on how the cartoon was designed to advertise the toys, they said it got really intense when Season 4 3-part story 'Rebirth' was written, because they had to introduce 120 new characters (equates to 2 per minute). That compares to the 104 characters they had in the entire 16 episodes of Season One. Speaking of Season 4 (Rebirth) - they categorically state that there was never any plans to have a full season beyond Rebirth. It was always intended to be the final story for the (Generation 1) Transformers cartoon. The only thing that changed was that 'Rebirth' was originally intended to be a 5-part episode, but was later cut back to 3 episodes during the writing stage. They mentioned that they had a fair bit of creative freedom with the writing of the episodes, outside of what characters/toys needed to be introduced or featured. Talked about the story of bringing Optimus back after the 1986 Movie. Apparently, some kid locked himself in his room for 2 weeks over it, and the negative publicity (probably more due to declining sales) prompted Hasbro to tell the writers to bring back Optimus. Unfortunately, they already had the Zombie episode in production (Dark Awakening), which would have Optimus killed off again. 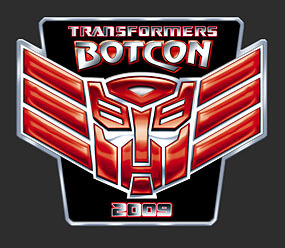 They claim that Joe Bacal (producer I think) was the one who came up with the name 'Transformers' for Hasbro, when the different parties were putting together the whole universe of Transformers from scratch. The origin of Optimus Prime (in Wardawn) was David's idea, which he pitched to Hasbro, and they approved. The writers all agreed - Wheelie was an embarrasment to Transfomers.